The Foundation for Landscape Studies is pleased to announce the winners of the 2012 John Brinckerhoff Jackson Book Prize for recently published books that have made significant contributions to the study and understanding of garden history and landscape studies. The winners are listed in alphabetical order. 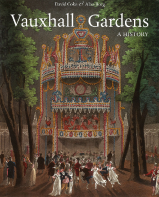 From its early beginnings in the Restoration until the final closure in Queen Victoria’s reign, Vauxhall Gardens developed from a rural tavern and place of assignation into a dreamworld filled with visual arts and music, and finally into a commercial site of mass entertainment. By the eighteenth century, Vauxhall was crucial to the cultural and fashionable life of the country, patronized by all levels of society from royal dukes to penurious servants. In the first book on the subject for over fifty years, Alan Borg and David E. Coke reveal the teeming life, the spectacular art, and the ever-present music of Vauxhall in fascinating detail. Borg and Coke’s historical exposition of the entire history of the gardens makes a major contribution to the study of London entertainments, art, music, sculpture, class, and ideology. It reveals how Vauxhall linked high and popular culture in ways that look forward to the manner in which both art and entertainment have evolved in modern times. David E. Coke was formerly the curator of Gainsborough’s House Trust, Sudbury, Suffolk, and director of Pallant House Gallery Trust, Chichester. Alan Borg is a former director of two of Britain’s national museums, the Victoria and Albert Museum and the Imperial War Museum. He lives in London. Landscape architect, urban planner, teacher, and social visionary: over the course of a sixty-year career, Lawrence Halprin (1916–2009) reshaped the spaces we inhabit and our ways of moving through them. The New York Times called him “the tribal elder of American landscape architecture” and the critic Ada Louise Huxtable credited him with creating what “may be one of the most important urban spaces since the Renaissance.” With his bold use of abstract imagery, he could evoke the landscape of the American West in a sequence of city squares and fountains, while his plan for repurposing an abandoned factory near San Francisco‘s Fisherman’s Wharf showed how adaptive use of a historic structure could turn commercial development into urban theater. A man who deeply loved cities, he left as one of his most important legacies the five thousand acres of coastline, hedgerows, and meadows that became Sonoma County’s environmentally sensitive and enormously influential Sea Ranch. Featuring more than ninety black-and-white and one hundred color reproductions of photographs, plans, and sketchbooks, A Life Spent Changing Places is Halprin’s own account of how a young boy who listened to the fireside chats of Franklin D. Roosevelt on the radio became the man who designed the memorial to that president in the nation’s capital. It is a book about the invention and reinvention of an extraordinary man over the span of decades and how that man helped to reframe the world around him. 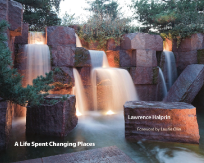 Lawrence Halprin began his professional career in San Francisco in 1949. His work over the next sixty years spanned the country from Oregon to Virginia. Laurie Olin is practice professor of landscape architecture at the University of Pennsylvania and principal of the Olin Partnership, a landscape architecture firm in Philadelphia. Like their penchant for clubs, cricket, and hunting, the planting of English gardens by the British in India reflected an understandable need on the part of expatriates to replicate home as much as possible in an alien environment. In Flora’s Empire, Eugenia W. Herbert argues that more than simple nostalgia or homesickness lay at the root of this “garden imperialism,” however. Drawing on a wealth of period illustrations and personal accounts, many of them little known, she traces the significance of gardens in the long history of British relations with the subcontinent. To British eyes, she demonstrates, India was an untamed land that needed the visible stamp of civilization that gardens in their many guises could convey. Colonial gardens changed over time, from the “garden houses” of eighteenth-century nabobs modeled on English country estates to the herbaceous borders, gravel walks, and well-trimmed lawns of Victorian civil servants. As the British extended their rule, they found that hill stations like Simla offered an ideal retreat from the unbearable heat of the plains and a place to coax English flowers into bloom. Furthermore, India was traversed by the global network of botanical explorers and collectors whose members gathered up the world’s plants for transport to great imperial centers such as Kew. And it is through colonial gardens that one may track the evolution of imperial ideas of governance. Every Government House and Residency was carefully landscaped to reflect the current ideals of an ordered society. At independence in 1947, the British left behind a lasting legacy in their gardens, one still reflected in the design of parks and information-technology campuses and in the horticultural practices of home gardeners who continue to send away to England for seeds. Eugenia W. Herbert is professor emeritus of history at Mount Holyoke College and the author of several books, including Twilight on the Zambezi: Late Colonialism in Central. 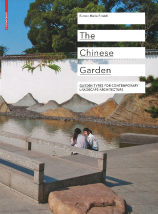 The Chinese Garden shows us the world’s distinguished historical and modern gardens in their essential compositional principles from the perspective of contemporary landscaping. It is an inspirational and comprehensive work that offers a huge variety of pictures, maps, and drawings. The panorama of The Chinese Garden stretches from surviving historical gardens all the way to such modern examples as the garden at the Bank of China in Hong Kong, designed by I. M. Pei; Ai Weiwei’s Yiwu Riverbank Park in Jinhua, China; the Garden of Flowering Fragrance in the area of Los Angeles, California; and the Garden of Awakening Orchids in Portland, Oregon. Bianca Maria Rinaldi is assistant professor for landscape architecture at the School of Architecture and Design, University of Camerino, Italy. The National Mall in Washington, D.C., is “a great public space, as essential a part of the American landscape as the Grand Canyon,” according to architecture critic Paul Goldberger, but few realize how recent, fragile, and contested this achievement is. In Monument Wars, Kirk Savage tells the Mall’s engrossing story – its historic plan, the structures that populate its corridors, and the sea change it reveals regarding national representation. Central to this narrative is a dramatic shift from the nineteenth-century concept of a decentralized landscape, or “ground,” with heroic statues spread out in traffic circles and picturesque parks, to the twentieth-century ideal of “space,” in which authority is concentrated in an intensified center, and the monument is transformed from an object of reverence to a space of experience. Savage’s lively and intelligent analysis traces the re-envisioning of the monuments themselves: there is a shift from the image of a single man, often on horseback, to commemorations of common soldiers or citizens; from monuments that celebrate victory and heroism to memorials honoring victims. An indispensable guide to the National Mall, Monument Wars provides a fresh and fascinating perspective on over two hundred years of American history. Kirk Savage is professor and chair, Department of the History of Art & Architecture, University of Pittsburgh.